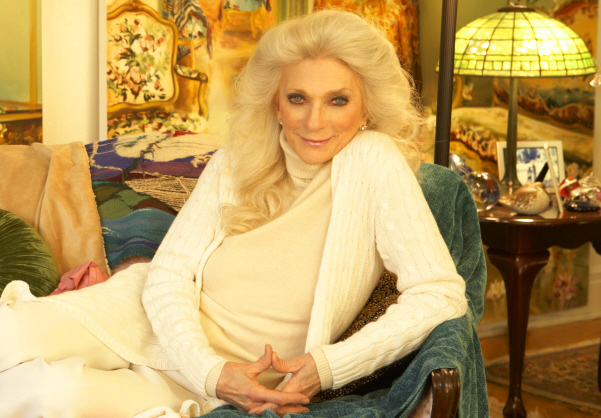 The stories she actually tells are truly entertaining, varying from the touchingly personal to the hilariously bawdy. She is so enthusiastically invested in the music – her spectacular, undiminished talent always gives me an amazingly intense cabaret experience. Highly recommended. Director Barlett Sher has successfully brought historical accuracy to the Lincoln Center revival of Rodgers & Hammerstein’s The King and I. He is aided by choreographer Christopher Gattelli, who infuses every dance with real moves from khon, the royally-sponsored classical dance form of Thailand. More on that later. The King and I takes place in 1860’s Bangkok, when Thailand was still called Siam, and follows the stormy but ultimately affectionate relationship that develops between King Mongkut and Anna Leonowens, a British schoolteacher he employs to teach his wives and children. 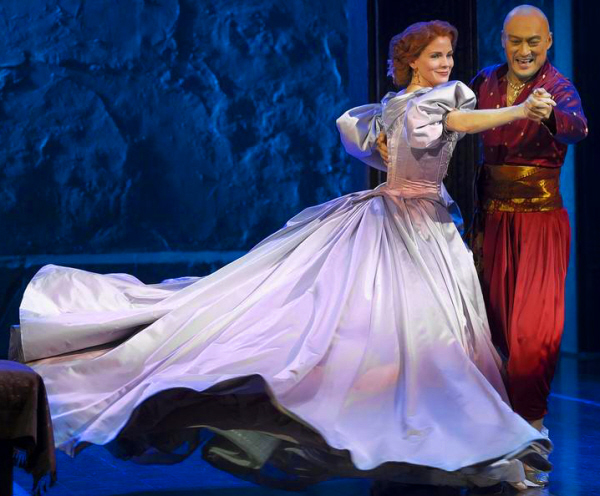 Kelli O’Hara plays a more guarded Anna than you see in most productions, but still one with plenty of steely resolve. Guarded and steely are not the adjectives you’d use whenever she sings, however – then she’s warm and shimmering. Much has been made of Ken Watanabe’s difficulties with enunciating clearly enough for the stage. Too, much, I’d say: yes, sometimes it is difficult to understand exactly what he’s saying, but he’s such a fine actor that there is rarely any doubt as to what he means. His king is closer to the intellectually and politically brilliant Mongkut of history than Yul Brenner’s charismatic macho bully. The drive towards authenticity is also helped by musical arrangements (the original arrangements? It would seem so…) that incorporate references to traditional Thai piphat ensembles and Buddhist chanting. Gattelli’s use of khon reaches a climax in the “The Small House of Uncle Thomas”, which in this production is less a joke on the misunderstandings between east and west, and more a moving tribute to powerful underlying connections between the two. The dancing ensemble, led by Christopher Vo, Cole Horibe and Xiaochuan Xie bring this conception to vigorous, electrifying life. The most moving dance though, is the 11 O’Clock number “Shall We Dance”, with O’Hara’s enormous Catherine Zuber-designed gown sweeping grandly around the capacious stage, with Gattelli wisely hewing closely to original choreographer Jerome Robbins’s simple yet powerful approach. That’s the soul of the show right there, as it should be. Recommended. Well, this is fun! Something Rotten! 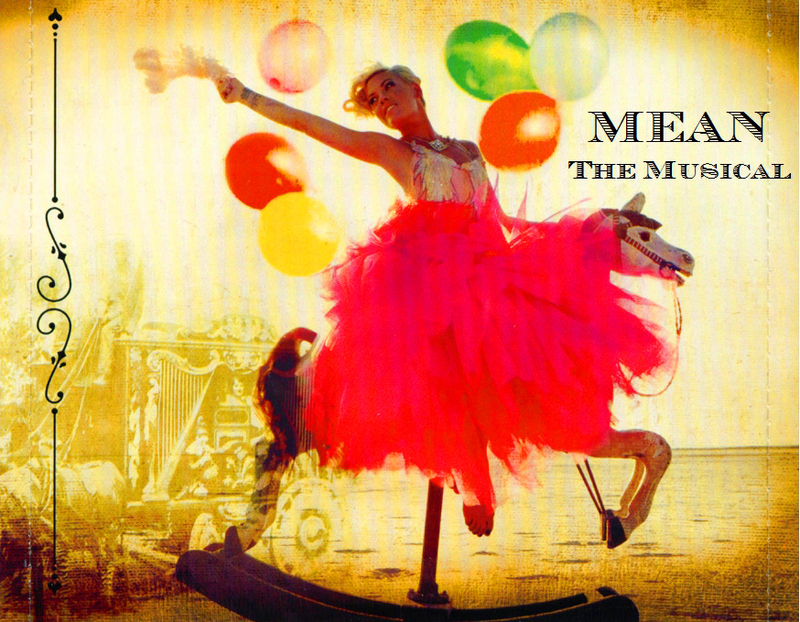 is another satirical pastiche musical that is actually a pretty good musical by its own lights. A little “second act trouble”, but, hey, even Chicago has that. 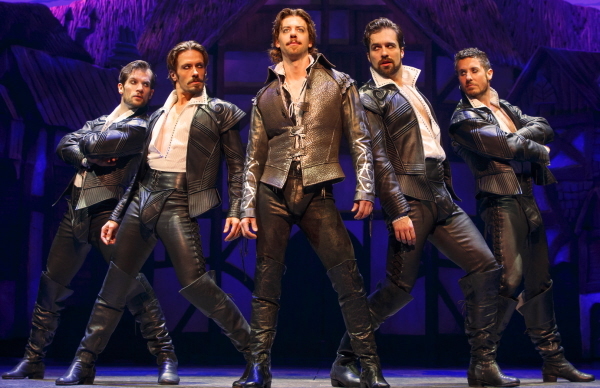 In 1595 London – or a reasonable musical comedy imitation thereof – Brothers Nick (Brian d’Arcy James) and Nigel Bottom (John Cariani) are in dire straits and need a hit play fast, but can’t compete with theatrical juggernaut William Shakespeare (Christian Borle). Nick pays a soothsayer to give him a peek at theatre’s future, which inspires him to write the world’s very first musical. Director-choreographer Casey Nicholaw is Broadway’s current master of this kind of patische-y fun, and he’s firing on all cylinders. This show’s main virtues are willful silliness and breakneck energy, and Nicholaw wisely leans into those qualities. Borle’s an actor that’s rightly respected for his ability to ham it up with real pizzazz, and his take on the bard is a royal piece of ham-ery, a glam cross between Mick Jagger and Mel Brooks. Nick Bottom is arguably the lead role, and d’Arcy James shows his range by hitting Nick’s more manic moments with glee, and his quieter moments with much more psychological depth than what’s on the page. It’s Nigel, however, who has the biggest arc, going from Nick’s timid second banana to a writer confident in his own gifts. Cariani is just the right actor for this, matching a gawky awkwardness with soulful longing. Brooks Ashmanskas also stands out as Brother Jeremiah, a closeted fop of a puritan who has a real problem keeping his entendres in his codpiece. It’s the kind of over-the-top comic performance that makes his colleagues almost break character with laughter. This isn’t the best self-referential musical funfest out there; for that go see the still-running Nicholaw-helmed Book of Mormon. Nonetheless, Something Rotten! is plenty entertaining. What a great season this has been for new American plays! First Hand to God and now this, which I like even better. Airline Highway is set on the titular New Orleans roadway, a desolate stretch of road, at the Hummingbird, a run-down motel. Most of the customers are long-term residents, a rogues gallery of strippers, prostitutes and entertainers barely scraping by. This motley crew are giving a wake-like funeral to the still-living Miss Ruby, an old burlesque performer from Bourbon Street’s more decadent and stylish days. The irrepresible vitality of New Orleans is much talked about, and is in fact on abundant display. That doesn’t hide the abject misery that many of the characters find themselves in from time to time, often of their own creation. This is a dead-end existance, and playwright Lisa D’Amour makes no attempt to hide that. The true human mirace here is the amount of fun and life these people can find, in situations that would drive weaker souls to unrelenting depression. This came in from Chicago’s Steppenwolf Theatre, which is known for its great ensemble work. 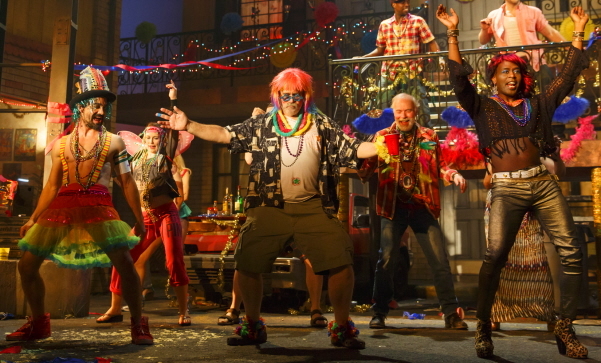 And Airline Highway is without a doubt one of the greatest ensemble plays of recent memory, featuring spotlight moments for much of its large cast, and moments of gleefully chaotic overlapping. Standing out in the crowd are K. Todd Freeman as “sissy bounce” boy Sissy Na Na, and Judith Roberts as the bed-ridden, truth-saying Ruby. Even more impressive is Julie White as prostitute Tanya, arguably the play’s emotional center. Usually a bitingly comic performer, White is given a much meater dramatic character and situation than usual here, and tears into it with gusto. Director Joe Mantello balances the play’s many elements with great intelligence and precision. Highly recommended. 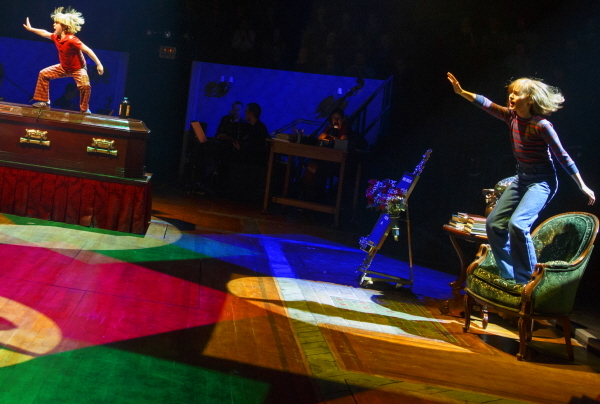 Richly emotional yet rigorously unsentimental – this quality is one of the things I like most about the remarkable musical Fun Home. It’s a hallmark of lesbian American literature from Gertrude Stein and Willa Cather onward, and something with which I’m very comfortable (my earliest mentors in the theatre were lesbian writers very much in that tradition-breaking tradition). Add to this bookwriter/lyricist Lisa Kron’s astringent wit, and the surging music by Jeanine Tesori, and you have a show that deals with longing and death that, while sometimes dark, is never depressing. Fun Home is based on cartoonist Alison Bechdel’s autobiographical graphic novel, in which Alison tries to make some sense of the connections between her father’s closeted homosexuality, and her own more overtly expressed lesbianism. That emotional but unsentimental quality was already there in Bechdel’s book – to be expected from the author of a comic strip called Dykes to Watch Out For (a personal favorite of mine for decades). It’s a sensibility that Lisa Kron definitely shares: there has rarely been a better fit of adaptor to adapted. If sentiment comes in anywhere, it’s in Tesori’s music. The way her music pushes urgently and sincerely at Kron’s mordantly funny lyrics produces a truly exciting tension, not to mention Tesori’s best musical theatre writing to date. Three women actors play Alison at various stages of her life and they’re all marvelous: Beth Malone as the introspective and retrospective adult Alison, Emily Skeggs as the girl-crazy college-age Alison, and Sydney Lucas as the tomboy-becoming-butch young Alison. Michael Cerveris is pitch perfect as the closeted Bruce, capturing both the love of beauty and the ultimately destructive perfectionism of this very complex man. Highly recommended.